There are so many experiences and little corners of the Peninsula to explore. Here are a few of our favourites. 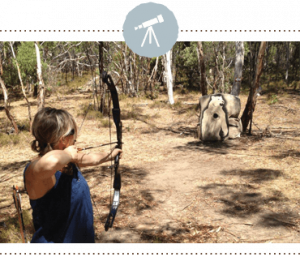 Archery Park is devoted to all forms of archery as a recreation and pastime for the whole family. Gone are fibreglass bows and arrows and boring targets. Now the latest compound bows and carbon arrows make instruction and use simple. After a short familiarisation, you will safely and accurately negotiate over one of three-field courses. You will wander through 44 acres of natural bush, following established tracks. Over 90 targets await you, varying in size from wild buffalo to fox or rabbit. Your own skill will decide the distance you are required to shoot. It’s easy. All ages from five to 80 can have a go. They cater for the beginner through to the advanced archer. As a bonus you will enjoy views over the gulf and McLaren Vale, more than 200 species of native flora, an abundance of wildlife including the elusive koala. If you have your PADI diving certificate or not, Nate is the man to go to. 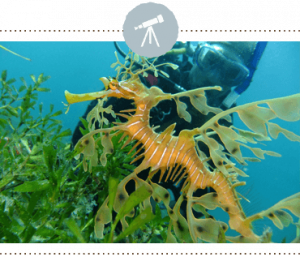 A highly experienced dive instructor, he’ll get you up to speed with your open water or refresher licence, and book you in for a guided Leafy Sea Dragon tour off of the Rapid Bay jetty. An increasingly rare sight, you’ll experience the magical, mysterious and mesmerizing Leafy Sea Dragon in its own habitat. Along with these mystic creatures, you’ll also catch a glimpse of other local marine life – ranging from Cuttlefish to Blue Ring Octopus. So take a dive with Nate and see the Leafies in all their glory! 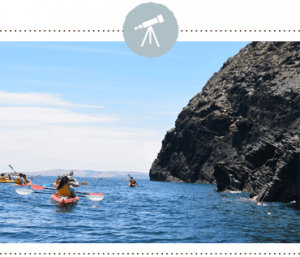 Spectacular beaches , coastal cliffs, sea caves, seals… a great sea kayaking adventure awaits! 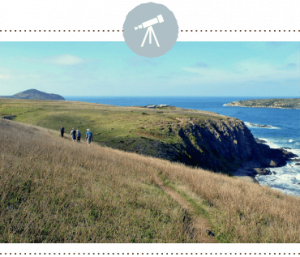 The tour begins at Rapid Bay on the lower Fleurieu Peninsula, where the rugged coastline boasts spectacular towering cliffs and crystal clear water. After meeting on the beach and running through procedures, you’ll soon be paddling to secluded beaches and mysterious sea caves. It’s here where you can meet the “locals”; a growing colony of seals that are always keen to make new friends. The team at Adventure Kayaking SA provide the 1 or 2 person sea kayaks which are very stable and easy to use, comfortable buoyancy vests and friendly guidance that will make the experience both safe and great fun. The Friends of the Heysen Trail is a comprehensive and informative website complete with Southern and Northern Guidebooks plus Topographical Section maps available to purchase. Complete with walking events, facilities/accommodation and drinking water stops along the way, your trail hiking planning is a breeze. Check out the website and books available for purchase…. and get your walking poles out! South coast helicopter adds an unforgettable third dimension to any adventure. Located on the outskirts of the historic township of Strathalbyn, their base is less than an hour’s drive from Adelaide. 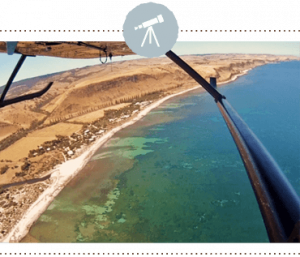 It’s the ideal launching spot to cover the Fleurieu Peninsula, Kangaroo Island, the Coorong, River Murray and the wine regions of McLaren Vale, Langhorne Creek and Adelaide Hills. 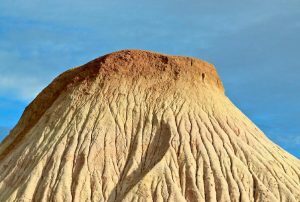 ‘The Geology Circuit’ trail provides a fascinating walk through Earth’s far distant past, with the whole area dating back over 600 million years. Serious hikers can hit the boardwalk and stairs along the coastal walk – all the way to Kingston Park. 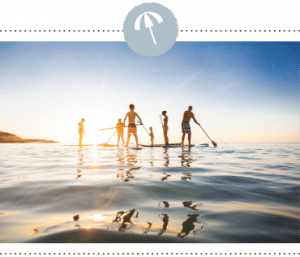 It’s all the craze and if you don’t have your own board, hire a SUP Down South stand-up paddle board on the beaches of Port Willunga and Aldinga. With a minimal hourly hire charge and no car transportation needed, it really doesn’t get any better. Located at some of the best beaches in the world, the relaxation and tranquility cannot be rivalled. Warning! Beautiful dolphins quite often make an appearance to add to this experience. Stay in the loop with SUP Down South facebook for hiring details. Often they host events including beach yoga and paddle board combined mornings. Don’t miss the opportunity to see the ‘In Flight Birds of Prey’ show which is the only display of its kind in South Australia. 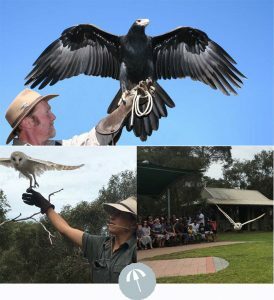 Meet an array of birds including Wedge Tail Eagles, Magpies, Laughing Kookaburras and my favourite ‘Casper’ the friendly Barn Owl. All birds have been injured or orphaned. Those that are not suitable for release are trained and lovingly become part of the show.. The hour long show is entertaining, educational and shows the genuine love all of the presenters have for these birds. Well worth the trip…and you can always add on an extra show like the ‘Venom Pit.’ A definite highlight on Kangaroo Island.